Everything related to the blending of Irish cream liqueurs demands exacting standards and precise procedures. Nothing is left to chance. Not a single facet of production occurs without testing, re-testing and testing again. It is not only that we have to meet national and international standards and regulations; we have even more importantly to meet our own expectations and commitments. We are Ireland in a bottle and we don’t take chances with our reputation. The most important ingredient is cream and our provenance requires that we purchase none other than the very best from Irish farms. 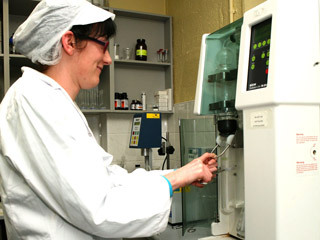 Fresh cream arrives from selected dairies and is analysed to assure that it meets our specifications. Irish whiskey used in blending is authentic and must meet our specifications as to taste, alcohol content and other measurements. 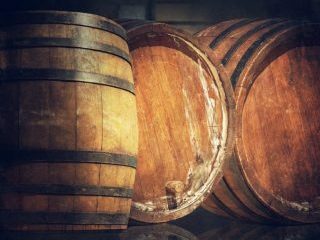 Fermented alcohol employed in some of our more gentle blends must meet exacting standards that we have pioneered and which make it possible to blend technologically advanced components without compromising the traditional taste and feel of Irish Cream Liqueurs. Blending is both a scientific process and an art form. Taste is not just a measurement. Achieving the luxury associated with our product requires skill, sensitivity, experience and an abundance of very special talents. The blending process begins with the careful mixing of fresh Irish cream with a wide variety of selected ingredients including sugar, spices, caramel and a host of taste differentiating specially selected and proprietary blend of flavours. The resulting cream blend is then homogenised with pure Irish whiskey or more gentle desert wines. Once again, the determining factor is to formulate that combination of ingredients necessary to achieve the goal of a specific blend, be it smoothness, a given taste, feel or balance. No liquid moves from blending to bottling without the most rigorous testing. 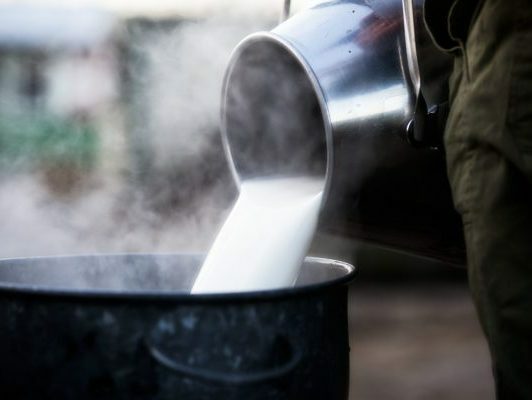 Each beverage is tested for alcohol content, suspended solids, cream content (which has much to do with quality and smoothness) and other factors that could influence taste, shelf life or appearance. Finally, the master blender tastes the finished product to ensure it maintains a consistent flavour profile, creaminess and luxury. When these tests are met, we can call our products “Irish” and affix to their names, the stamp of dependability, called ‘First Ireland Spirits’. Master Blender at First Ireland Spirits, John magically blends art with science to create Irish whiskey cream liqueurs for the largest independent producer of Irish cream liqueurs and Irish country creams. 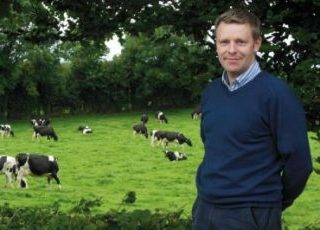 John helps develop new brands and products for the Quintessential Brands portfolio using his scientific background and knowledge of farming in rural Ireland. He has helped create the award-winning O’Mara’s, Feeney’s and Brogan’s Irish whiskey and cream liqueur brands from the company’s facility in Abbeyleix, County Laois and played a key role in the development of The Dubliner Irish whiskey liqueur. John has worked with the team at First Ireland Spirits, since 2005. His experience, creativity and passion for new product development have made him the ideal master blender and champion for Irish whiskey cream liqueurs.